The photography of Johnny Miller has captured the attention of countless individuals around the world. Specializing in drone and aerial photography, Mr. Miller's work explores poverty and inequality in clear and evocative fashion from high above. From golf courses next to shanty towns to super highways buzzing near housing projects, his drone has peered above cities on multiple continents. 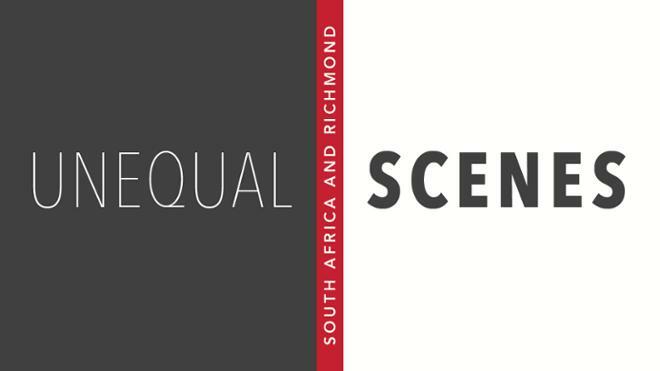 In this exhibit, his photos of South Africa and Richmond, Virginia -- separated by thousands of miles -- hang side by side and explore themes of segregation and inequality. The photos have been currated and captioned by students from UR's Geography department who have been analyzing and studying the realities they depict.